Pictured in a 1968 CBC News story are three Canadians: Ron Payne of Galt, Ont., Richard Dextraze of Montreal and Arthur Fisher of Niagara Falls, Ont. The men served in the same U.S. marines unit. 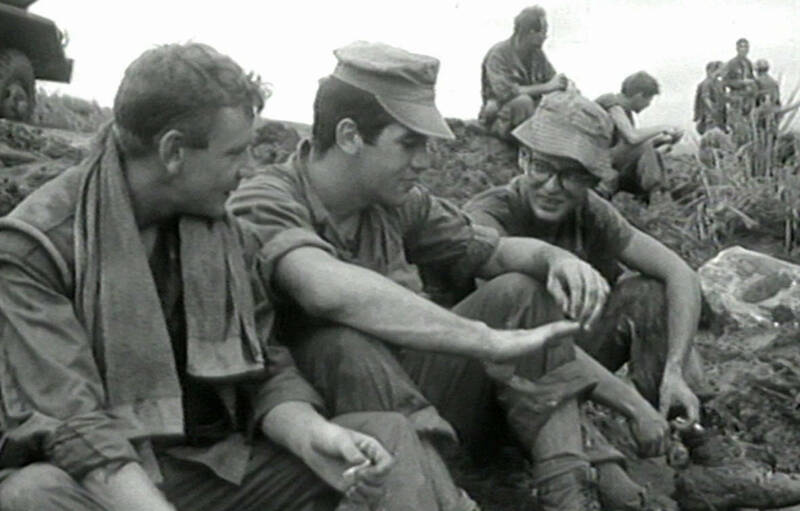 The Vietnam War had considerable effects on Canada – and Canada and Canadians affected the war. The Canadian government did not officially participate in the war. However, it contributed peacekeeping forces in 1973 to help enforce the Paris Peace Accords. Privately, some Canadians contributed to the war effort. Canadian corporations sold war material to the Americans. In addition, at least 30,000 Canadians volunteered to serve in the American armed forces during the war. At least 134 Canadians died or were reported missing in Vietnam. Meanwhile, tens of thousands of American Vietnam War resisters emigrated to Canada. Largely middle class and educated, they had a significant impact on Canadian life. After the war, tens of thousands of Vietnamese boat people were also admitted and became a unique part of Canadian life. Personnel servicing torpedoes at the Royal Canadian Navy (R.C.N.) Torpedo Depot, Halifax, Nova Scotia, Canada, March 1941.